Creating tomorrow’s abortion providers and pro-choice physicians. 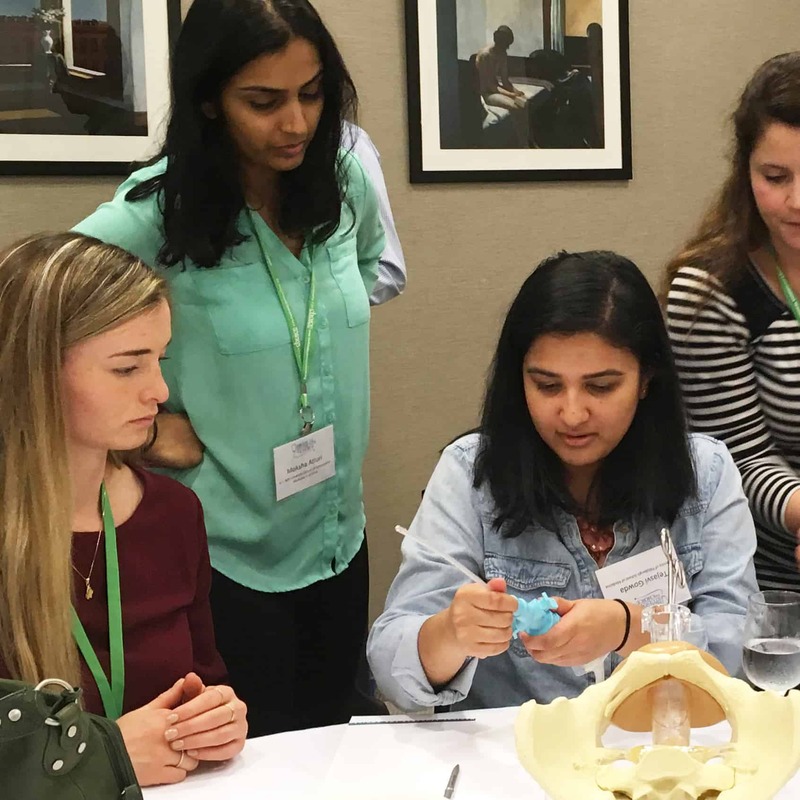 Medical Students for Choice’s Abortion Training Institutes (ATIs) provide medical students with an intensive educational opportunity to learn about abortion from family planning experts. The ATI will prepare you for future training in abortion care in a small group environment. Accepted applicants will receive full funding to attend. Admission is highly competitive. Applications to the ATI open on May 10, 2019. To know more about the application process visit our information section below. 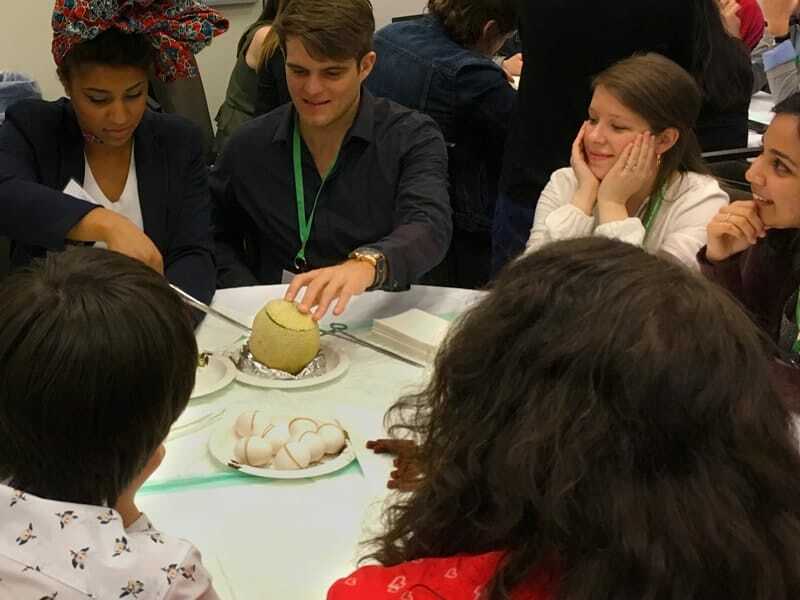 Medical students participate with reproductive health experts in small-group sessions covering the clinical aspects of abortion care and provision. Think through how abortion can be defined as birth control, where that is located on the spectrum of comprehensive reproductive healthcare services and how you can maintain professionalism during these conversations with patients. 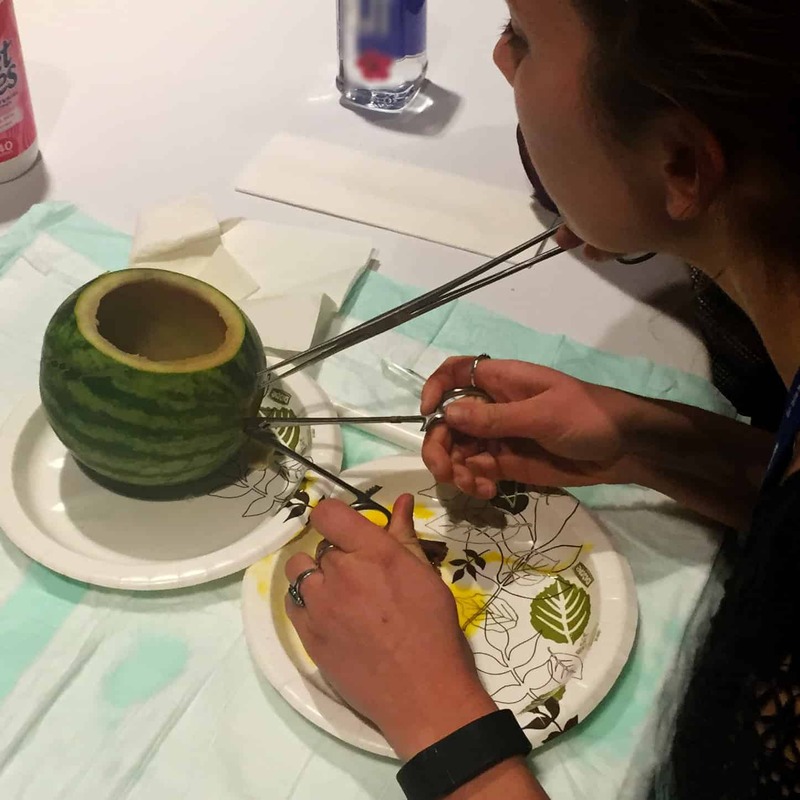 This session will review the techniques for first trimester abortion, including anesthesia, surgical approach, and complications. Students will also review regimens and best practices for medication abortion. Learn how to inspect tissue after a 1st trimester abortion and why this step is critical to patient care. Engage in a conversation with abortion providers as they share their stories, including why they chose to provide abortion as part of their practice, what they find rewarding about their work and the challenges they face. This session will review the basics of second trimester abortion. This includes the discussion of available techniques and approaches, and minimizing risks and complications. Become familiar with the equipment used for 2nd trimester procedures and practice the techniques using a model. This session will give you a chance to learn the tactile feel of this procedure. 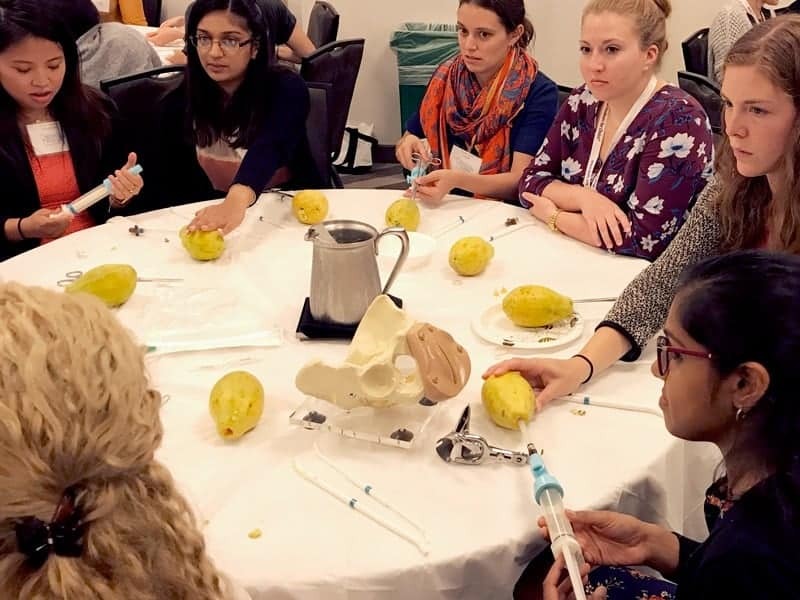 Get an introduction to the equipment and techniques used for Manual Vacuum Aspiration (MVA), a safe and easy, low-tech method of providing early abortion. Attendees will work in small groups with physicians to learn these skills. A panel of experts will present resources and strategies for training and participating in advocacy, both in your own community and throughout your career. 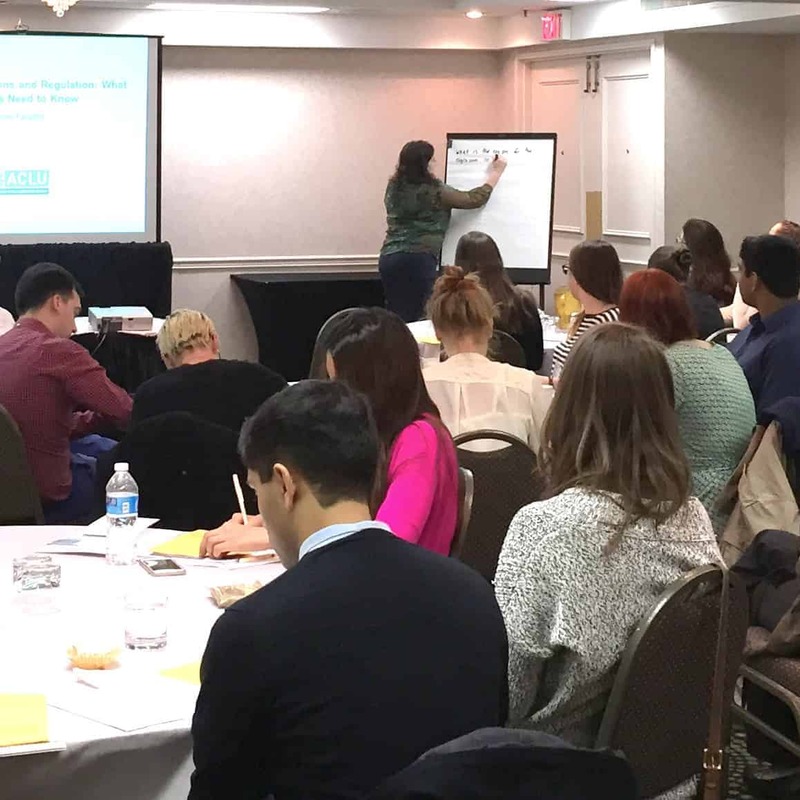 What did you like best about MSFC’s Abortion training Institute? The advocacy talks and discussions about how to get involved made me realize the tangible changes I can make in my medical school. Being surrounded by like-minded individuals from around the country and similar passions of providing and advocating for women’s reproductive health. I appreciate the opportunity to learn more and receive training I did not have access to before. Loved the people—I could see myself happily practicing alongside all of these individuals. What skills or ideas did you gain at the Abortion Training Institute that you will take back with you? Being aware of the language we use in abortion counseling. Feeling more comfortable with MVA. Becoming familiar with medication abortion. So many ideas (advocacy, resolution writing, training, etc.) that I can do at my school. I learned specific skills about advocacy and how to share stories and defend my position effectively. I learned skills to remain confident in my decision to become an abortion provider. Safety of the procedures! How to identify products of conception. Education on need for physician advocacy—our voices are powerful! We need to speak up! What was most valuable to you and why? Values clarification—very helpful when trying to figure out how to respond to family, friends, strangers who disagree with what I do. 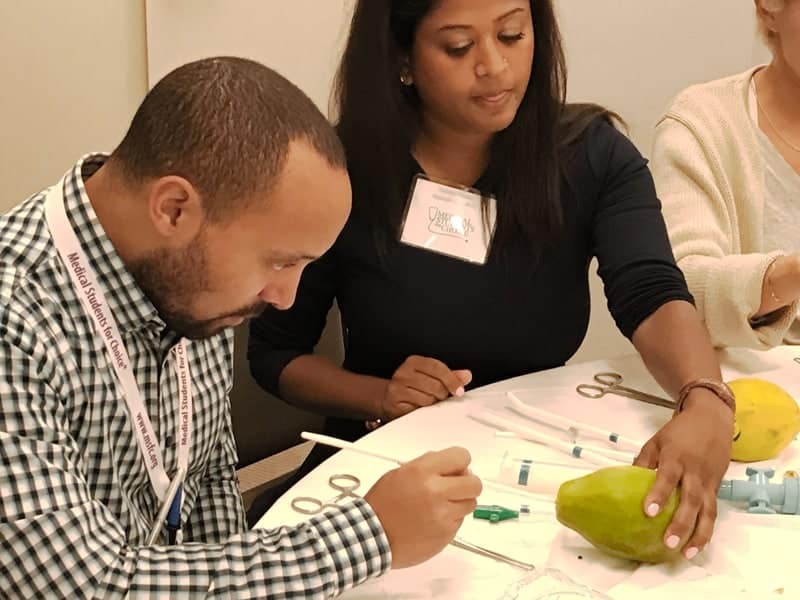 Clinical sessions—1st and 2nd POC practice understanding the entire procedures available for termination to dispel myths/misconceptions about the procedures and feel more confident as future providers. Provider Panel! I loved hearing their paths, struggles, strengths. It has helped me frame my plans. 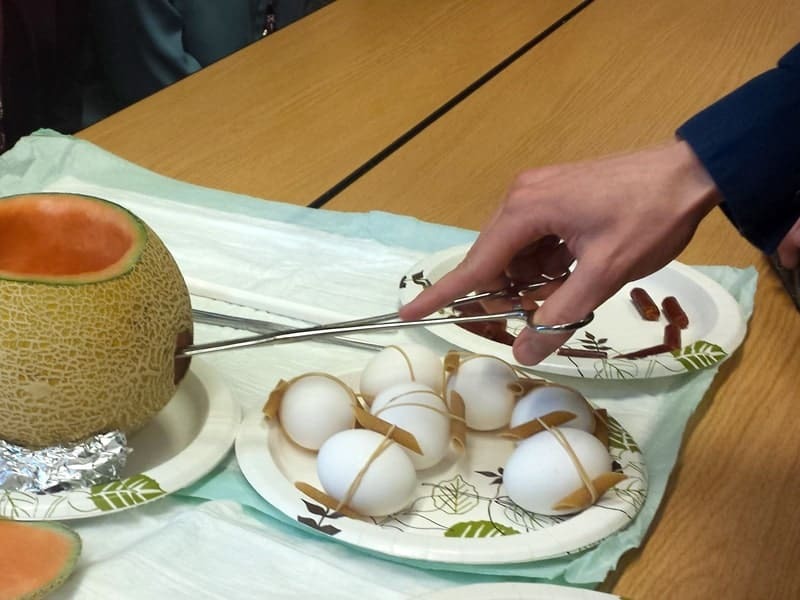 …my technical knowledge about abortion procedures was limited and both the lectures and the hands-on training were great. I loved getting to interact with providers as well. …I’ve never been able to reconcile my stance with my deep love and appreciation for children and pregnancy. When Joan explained that we, as pro-choice advocates, care deeply about babies because their lives are too valuable to not make a choice about, I felt an instant click! This has hugely helped me make sense about my desire to be an OB/GYN and bring life into this world while simultaneously being a safe, trusted abortion provider for my patients. Applications to the third ATI of 2019 open on May 10, 2019. Below you can find more information about the application process. MSFC staff will select participants based on the strength of their applications and CVs and the appropriateness of attendance. Because the ATI covers the fundamentals of abortion, students with little to no prior education on abortion and limited educational opportunities in the future are given priority. When will I hear if I’m selected to participate? For the current application round, MSFC will notify you of your status by July 19, 2019. What can I do to increase my chances of being selected? MSFC, on average, can only accept 25% of applicants. We have many good applications we cannot offer slots to due to budget and space constraints. We encourage students to apply to future ATIs if not accepted. We look for applicants who have been thoughtful in their application and have used the application to demonstrate their goals for attending the ATI. Once I submit my application and CV will I hear from someone at MSFC? At the end of the online application form you’ll receive a message confirming the submission of your application and we’ll indicate there the decision date for when applicants will be notified if they were accepted of not. When can I expect applications to open back up? MSFC has ATIs 3 times a year. The months and dates vary from year to year. You can expect dates for upcoming ATIs on www.msfc.org. If you are a MSFC Member/Student Leader you will also receive emails about upcoming ATIs and when to apply. There is no waitlist for the ATI. Should I still submit my application & CV even if the deadline has passed? We cannot accept applications after the deadline has past. Are there any other opportunities for me to pursue abortion training and education if I missed the ATI application period? YES! MSFC has other resources available to students wishing to pursue abortion training and education. The Reproductive Health Externship (RHE) program is a funding program which provides support to medical students and residents obtaining clinical exposure to abortion care. You can relay your questions and inquiries to [email protected] for more information. Also, the Conference on Family Planning (CoFP) is another option that happens once a year where students can get hands on training, workshops and network with providers on family planning and reproductive health. In addition, learning how to take action for reproductive rights in their community. This year the CoFP is in Philadelphia, PA December 7 & 8. Save the date! For more information you can email [email protected] or on our website here. If you still have questions regarding general information, the application process or anything that wasn’t discussed here about the Abortion Training Institutes, you should email [email protected]. An MSFC staff member will be happy to discuss the ATI in further detail with you. What is an Abortion Training Institute (ATI)? 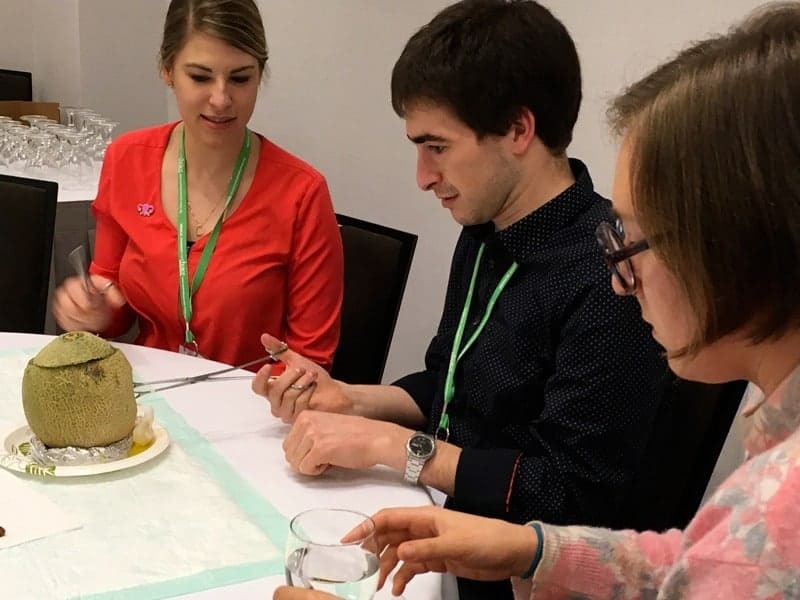 Abortion Training Institutes (ATIs) provide medical students with a fully funded educational opportunity to learn about abortion from family planning experts. The ATI will prepare you for future training in abortion care in a small group environment. When and where are the Abortion Training Institutes? What is the schedule for the Abortion Training Institutes? The ATI’s are always held on weekends. The program begins on a scheduled Friday at 6:00 PM EST and concludes on that Sunday, at noon. Only students who are available from 6:00 PM Friday until 12:00 PM Sunday afternoon will be considered. In order to attend the program, you will most likely need to request Friday off for traveling to Philadelphia. ALL current medical students are invited to apply. NON-medical students may apply, but ONLY medical students will receive funding to attend the ATI. In order to attend as a non-medical student, the attendee will be responsible for the conference registration fee, travel funds, and accommodations during the ATI. What if I’m an International Medical Student? The main barrier for international students attending an ATI is procuring a visa, when necessary. MSFC’s students have experienced a lot of difficulty in obtaining a visa and the recent political climate has only made this process more difficult. At this time, we encourage students who would need to obtain a new US visa, to consider other MSFC programs such as: MSFC’s Reproductive Health Externship (RHE) program. You can relay your questions and inquiries to [email protected] for more information. What is included in MSFC’s funding? MSFC will cover your conference registration fee, hotel room, the most cost-effective travel to and from the ATI, and meals during the program. How will I schedule my travel? You will work with an MSFC staff member to make sure your itinerary allows you to attend the full program, from Friday evening to Sunday afternoon. Students will be responsible for purchasing their own flight. Flights must be purchased based on cost efficiency, not by timing or availability. Flights must be approved by MSFC before they are purchased. This is applicable for train tickets as well. You will need to submit your receipt(s) for reimbursement from MSFC after your travel has been purchased. Do I need to book a hotel room? No. MSFC will reserve hotel rooms for everyone attending the ATI after travel arrangements have been confirmed. You will be paired with a roommate for the duration of the program.